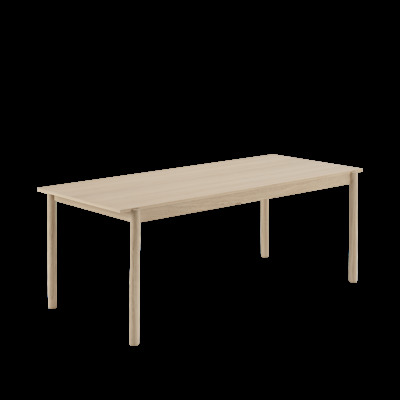 A simple and elegant wood table in a modern form language with understated details for a long-lasting expression. 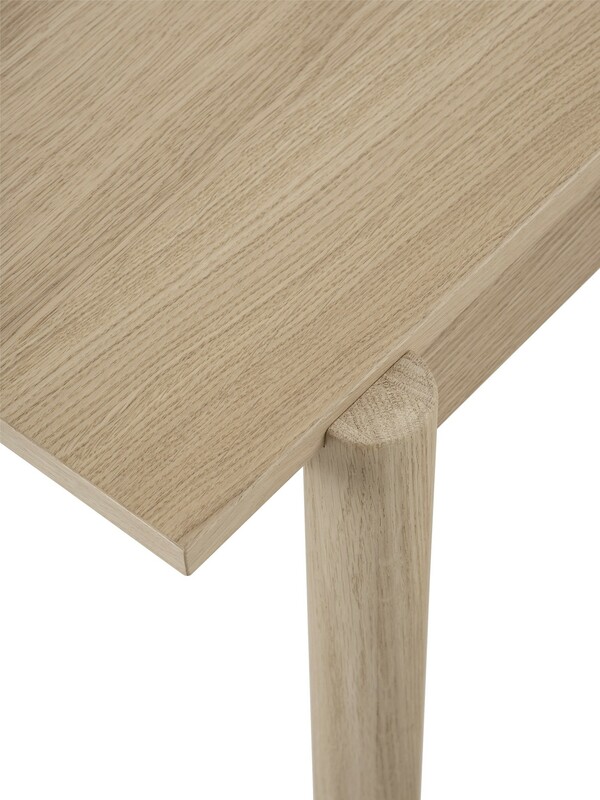 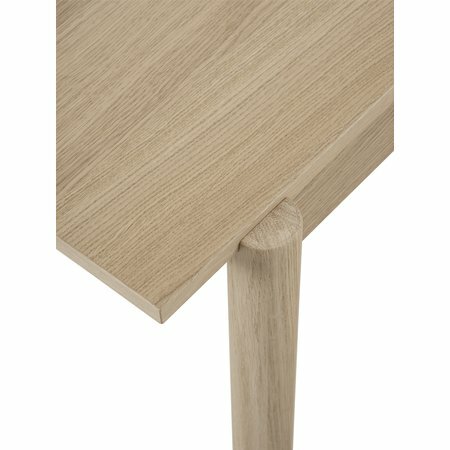 The Linear Wood table brings a simple and elegant perspective to wooden furniture through its modern form language with understated details for a long-lasting expression. 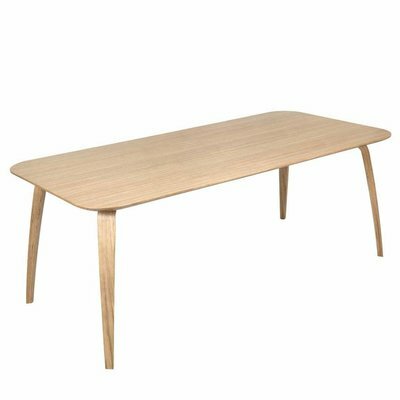 Kept visually clean for long-lasting aesthetics, the Linear Wood Bench finds it distinct character through subtle detailing and a simple expression. 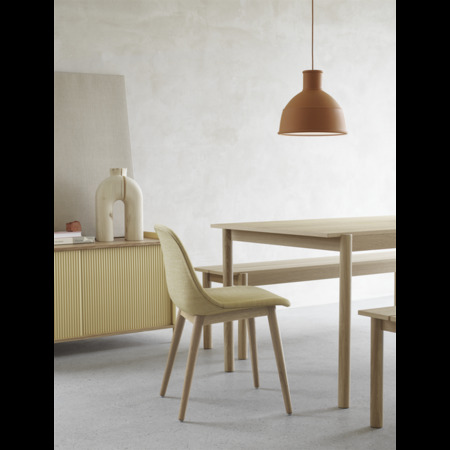 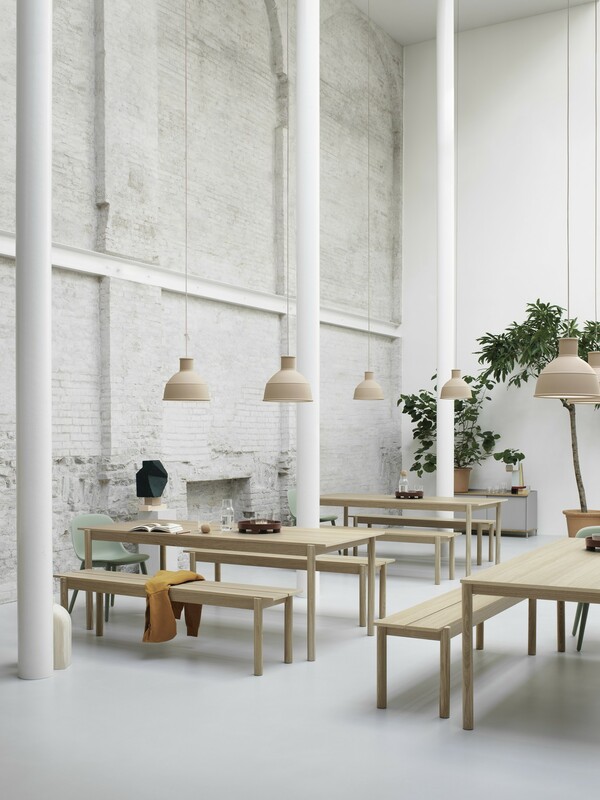 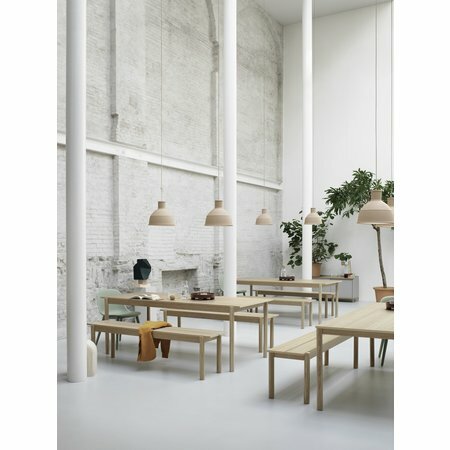 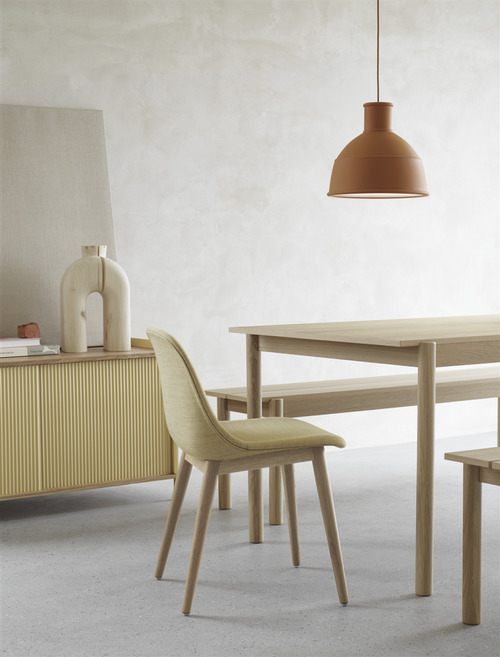 "The Linear Wood Series was designed from the idea of bringing the warm and friendly sentiment of wood into a timeless, understated shape with its form language inspired by the notion of meetings – the meetings of lines and shapes," explained Tomas Bentzen. 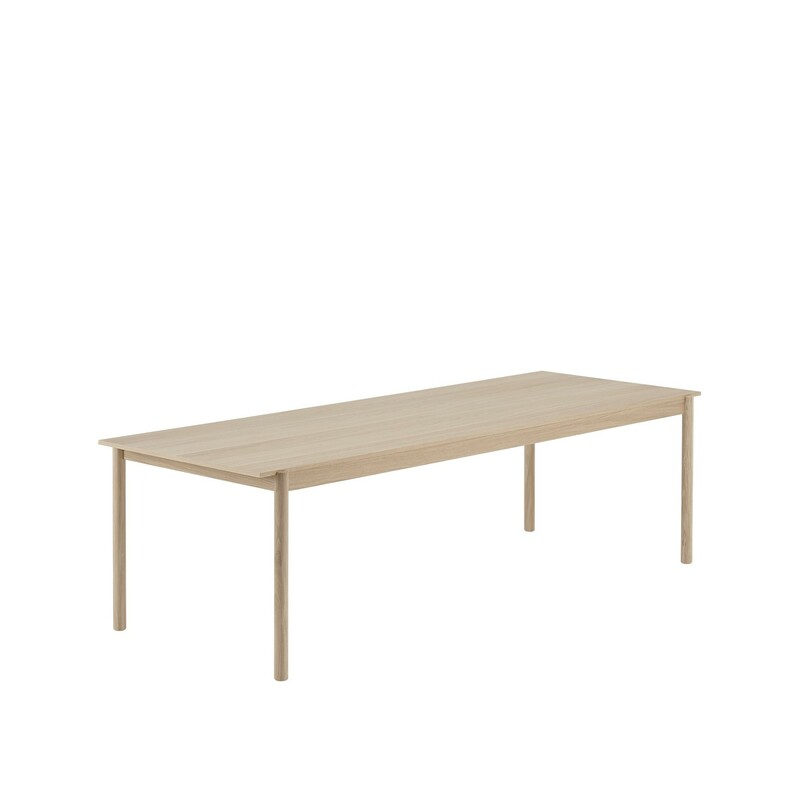 260 X 90 CM / 102.4 X 35.4"
MUUTO LINEAR WOOD BENCH 110 CM.